The Maxima has most recently been marketing itself as a 4 door Z. Something tells me this next one is going to be a 4 door GTR. 4 door GTR? There's no way. Granted, there is that concept Juke with the GTR drivetrain, but I just don't see anything close o a 4door GTR being produced as the next gen Maxima. Nissan is being extremely hush-hush about the Maxima. I haven't even come across any spy photos of any potential 8th gens. If they're being this secretive about it, they must have big plans for the Maxima, or else they'll announce its discontinuation soon, however I don't see Nissan doing that. As far as their cars go, how many names have been discontinued since Datsun switched over to Nissan? Pulsar, Stanza, 200SX and the 240? Those were lower to mid level cars, the Maxima isn't. There might be more, but I can't think of any right off hand. Not even one spill, nothing. I am in a hard place right now. I am finally ready to buy my new max. just that that i dont want to buy it now and next model is the redesign. It's time for a redesign 7th generation are nice cars but coming from a 6th generation the newer Maxima just didn't feel as substancial. The 8th generation Maxima hopefully will bring the Maxima back to its routes. When the 6th generation first debuted in 2004 until now all I hear to this day from people is I love that bodystyle I always wanted a Maxima. 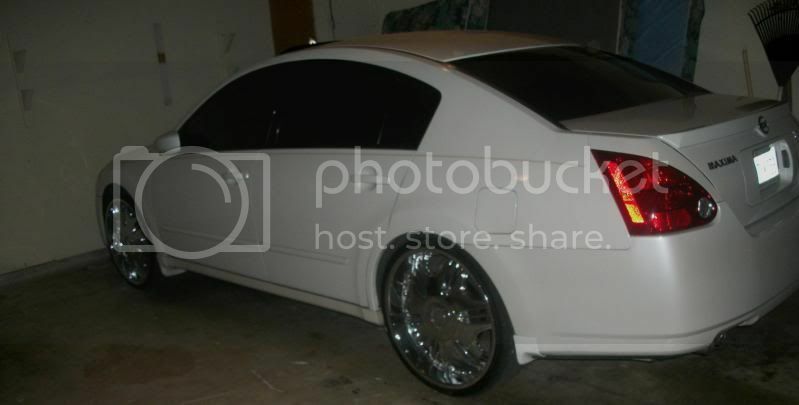 The latest I hear from the population the Altima is bigger they're not making Maximas like they used too! Well, it can be done. A 4 door Maxima GTR (let's call it that) would be in direct competition with Mercedes AMG and BMW's M's and Audi's S/RS line of 4 door cars. IF Nissan designs it right, IF they price it right, IF they make it look right, IF they market and advertise it right, it can be done. My point is this... If Hyundai can produce a 4 door sedan with a powerful 430 hp V8, the Genesis R-Spec 5.0, then I don't see why Nissan couldn't produce an actual high performance 400+ hp sedan as well. It just makes sense for them to do that. Whether or not they decide to stick the Maxima name on it, well... time will tell. Well, if Nissan is thinking of making a higher tier sports sedan, they would have to be AWD. If they made it RWD, then it would be a competitor with the G series, and it seems highly unlikely that they would do that. It would have to be a higher performance vehicle than the G, since the G is no where near the performance levels of AMG's and M's. Then the Maxima's MSRP would have to jump AT LEAST 20k in order not to be a conflict in sales with the G series. I just don't see Nissan making something like that. Infinity, maybe. I'm creating my own 2015 Maxima as we speak on photoshop! I made it 194.inches in length and 73 inches wide. Last edited by Chris Alexander; 03-30-2013 at 12:00 AM. The more I think about, the more I see that this new 8th gen Maxima is going to be off the charts. It is the time to happen. Right now. The new Altima looks way better. The new Sentra looks way better. The 370z looks way better than the 350z. The new Honda Accord finally looks badass. The new toyota Camry looks cool. Hell, even the freaking new Avalon looks awesome. We have Korea and the reborn US carmakers to thank for this by giving Japan fresh competition. ^^ I don't know man, the new Sentra looks like a Chevy Aveo in the front and the Altima is WAY too busy in the front. Opinions though. As far as the new Max goes, shouldn't we be looking at the Ellure concept? Nissan has done a good job keeping the Sentra and Alti close to it, maybe that's what's in store for the Maxima. Nissan hopefully knows, if they discontinue there flagship Maxima, they will lose there customers and more importantly of all, they will lose there sales. Nissan wants to keep their customers happy and keep them coming back for some more, they should work on installing the MT back in there cars. It would be nice if Nissan would go back and redo the 4th gen with the same body style but wider and longer with the goodies and more power to their vq30. I was really upset at the fact that Nissan shrinked the new pathfinder. I am worried about what Nissan will do next. it would be great if nissan brought a 6mt back to the maxima, but i really dont see that happening. most people that buy the 6mt's (maxima especially) are buying from the second hand market. I think its safe to say the current market for brand new maxima's is a crowd thats looking for a comfortable semi-luxury sedan with a bit of power, which is what the cvt is good for. new car buyers arent gonna care about a 6mt, except for the 1 in a million maxima enthusiast with enough cash to buy a brand new car. my thoughts anyways. would be great to have that option, which would make the car rare and fun for the used market for maxima's down the line. Growing up with a 3rd generation Maxima to owning a 5th generation as well as a 6th here's my personal opinion. 1989-1994 3rd generation Maxima's were well percieved among the public. They were far advanced for there time and quite sporty. 1995-1999 4th generation lost that sporty edge and became pure luxury, the looks weren't quite as handsome athletic and crash test scores weren't that great. 2000-2003 5th generation very reliable, good looking but sporty edge was in the dark at this point in the Maximas life and 2002 the Altima grew suddenly large all of a sudden so The Maxima was at the same point in this time period where the 2013 Altima and 2013 Maxima are today people largely questioned the Maxima's future at this point. 2009-2014 More Sporty More Power Great looks but a bit small, the Altima seems to be the bigger and better car as it did when it debuted in 2002. By 2012 Many Maxima fans and owners are ready for a new design. 2015 Most Maxima Owners want a RWD, Increased HP(300-310) , more space and alot more we all wait in anticipation for the next design. Last edited by Chris Alexander; 04-18-2013 at 12:50 PM. Most Maxima ENTHUSIASTS (like myself) want a RWD increased hp sedan. But us enthusiasts are typically not the ones buying from the new car market. Hence why the maxima will remain a fwd "4dsc" as it currently is, as that appeals to the market buying new maximas. 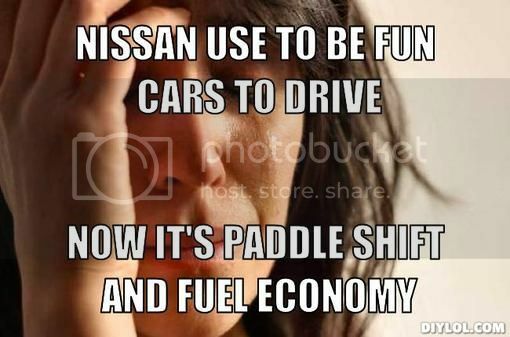 Nissan wont care much about how their cars resale values are, only about how their new car sales are. Doesn't Nissan already make a RWD sporty car by the name of G37 S 6-speed with some 300 hp? When the new Maxima is designed in 2015 you can't give it too much horsepower, anything over 315 puts it too close to the Infiniti G(now the Infiniti Q50) with has about 328 HP, so for the new Maxima about 305-310 will be just right. And lack of RWD is the number one complaint among us owners. It would truly make the Maxima a better car in many ways. I also wonder if Nissan had redesigned the 7th kept it the same length as the 6th with the added with given to the 7th gave it a 7speed transmission and made it a RWD you'd have the perfect car! People seem to not like the CVT me personally I think it's a good match for the 290HP V-6 in the current Maxima .and it's quite smooth!!! !.I like it except under hard acceleration it's works good in general cruise and on fuel economy. Making a 7 speed AT standard and a CVT optional might have worked. IMO making the car smaller is what hurt it you never want your flagship sedan to be smaller than your midsize. Now your gonna have people making the altima the better car. Last edited by Chris Alexander; 04-18-2013 at 01:39 PM. Sad but absolutely, positively true. They are getting behind technologically imo. no awd, no turbo, no DI, no manual, the are just getting behind all over sticking with NA. I have been out of the nissan scene for a while but do they have any of these in normal commuter cars? Also the cost of a maxima vs an infiniti also is something to consider. it really is too bad imo. Last edited by FastnFuriousMax; 04-18-2013 at 04:40 PM. I wouldnt get your hopes up about the 8th Gen Maxima (if there will even be one). If you look at the G37 (which is more of an enthusiast car then our Maximas) its replacement, the Q50, it isnt going to come with a manual trans option. There have also been rumors of Infinti using Mercedes sourced engines, which would mean death to the VQ. As for AWD, I think Nissan is goign to reserve that for their crossovers and Infinitis, Which in all honesty makes sense given the market segment. What would be really cool for the next Maxima, is something like a 4 Door version of a BRZ/FRS. This would allow the Altima to be the high tech, plush car for the masses while allowing the Maxima to be more for enthusiasts. I dont know about you guys, but Id be down for a simple, well built, and sporty sedan without all that crap they load new cars up with nowadays. RWD for a maxima would be nice should not be a problem,but the Z can settle that minus the 2 doors. The most concern here would be that people will complain about the handling or what they call it the torque steer. The car will be very hard to drive as a RWD for some elderly folks. We hope Nissan can listen to us. The issue is cost cutting, alot of auto companies are building their cars focusing on budget rather than making good quality vehicles. As of 1995 The Maxima has become different than what it once was. The 8th generation Maxima has to be far ahead and advanced in Design,technology and innovation as was the 3rd generation when it debuted in 89. You have to make the car better than it's competition. The 7th generation you already have cars who are far ahead of this design with better transmission technology,greater interior space,refinement and economy( 2013 Chrysler 300C 31MPG highway). 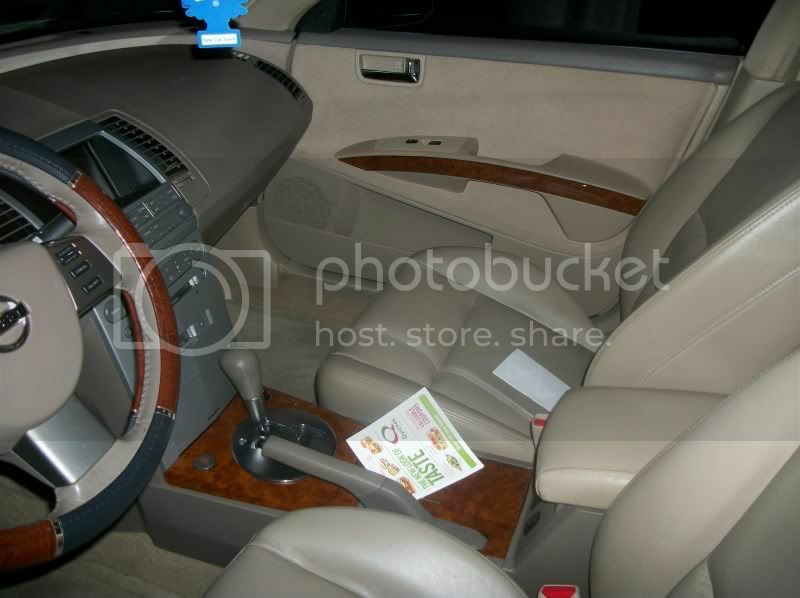 The 6th gen with those power folding mirrors in 2004 you had to buy a high end Lexus to get that kind of stuff so at the time you a car that was slightly ahead in a few areas Interior Space,Refinement,ride quality,features. in 2004 265HP was alot. With the 7th today 290 is just barely adequate. Last edited by Chris Alexander; 04-18-2013 at 08:26 PM. Then you take a full loaded 2013 Altima 3.5SL and compare to a 2013 MaximaSV and the Altima is near identical in every aspect except for refinement,power and handling. So The next Maxima has to be more seperated and different in every way from the Altima where fans and potential buyers wont mistake both for the same car. Last edited by Chris Alexander; 04-19-2013 at 11:52 AM. What?? Why would a current model car, be rebadged to a different NEW model car? I was just going to say, why would the M be the 8th Gen Max? Makes no sense to do this. The Maxima name died after the 5.5gen. I doubt the 8th gen will be back on track with its roots. Some will say the 4DSC died with the 3rd Gen. The upside of the next Maxima being based off the InfinitiM is a potentially solid bulletproof and reliable car. Because you build a 7th gen off of that and that's likely what your gonna get, but the downside is the Maxima is the 4DSC so there's a chance it could go all luxury again and you dont want that. The G platform is a bit too small and the M platform is a bit too large so you make a car between those two, you build a car on either one of those platforms and that's where the problem lies. Last edited by Chris Alexander; 04-19-2013 at 12:15 PM. Where did you come up with that, the 6th gen is the Gen that most and most "Maxima guys" like the least from the 3rd gen to the 7th gen. Its the one that had the most criticism from the boat like feel and low quality interior......It did improve some with the 6.5 gen although. Oh man.. I really hope not..
LOL and everybody hates the CVT. the new GTR is getting a 7 speed transmission so that gives hope for the 8th gen Maxima. Last edited by Chris Alexander; 04-21-2013 at 04:46 PM. I wouldnt bet on anything special for the new Maxima. Nissan will wimp out and if anything it may, MAY finally break the 300 mark, but will indeed remain a FWD car. In essence it will remain the luxury end of Nissan as the flagship 4 door model. As far as a 4 door GTR this has already been in talks at Nissan/Infiniti....It will be based heavily off the Emerge-E concept and def. where the Infiniti insignia. The new Maxima will be more about the bling than go fast aspect. Last edited by Chris Alexander; 04-21-2013 at 09:11 PM. But somehow they managed to make the 09 heavier with larger external dimensions sans length. That's definitely due to the CVT lol. For example, the difference between the '06 and '07 in weight is like 150 from what I can recall. 3565lbs is that with or without fluids? You do realize that the current Maxima was introduced before the current Altima right? So its the Altima that looks/resembles the Maxima.